Thank you very much to S for today’s NHM Review! She’s done a fab job!!! 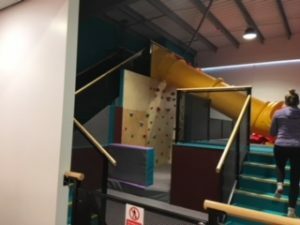 Gymfinity is a kids activity centre. 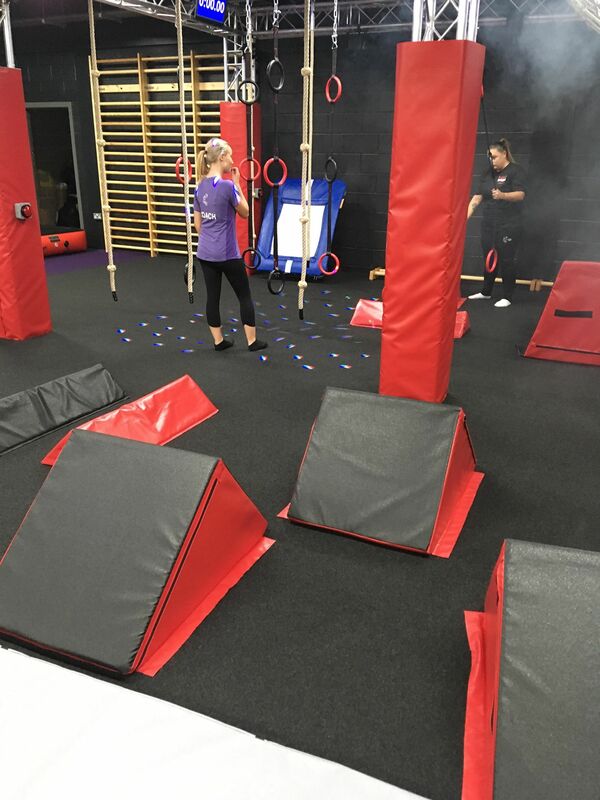 They say: “Gymfinity Kids is the one-stop destination for active classes for kids. 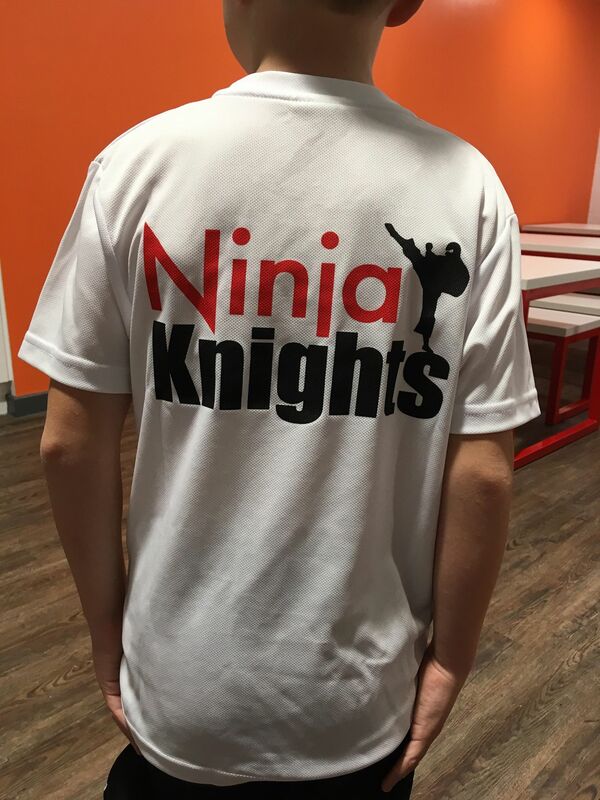 From budding gymnasts to natural born ninjas, all skill levels are welcome to join the fun!”. 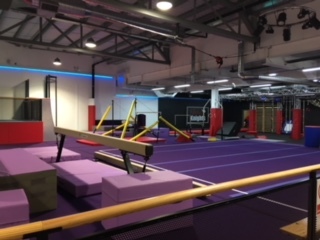 They host all types of gymnastic classes, holiday camps, baby balance, Ninja Zone and parties. 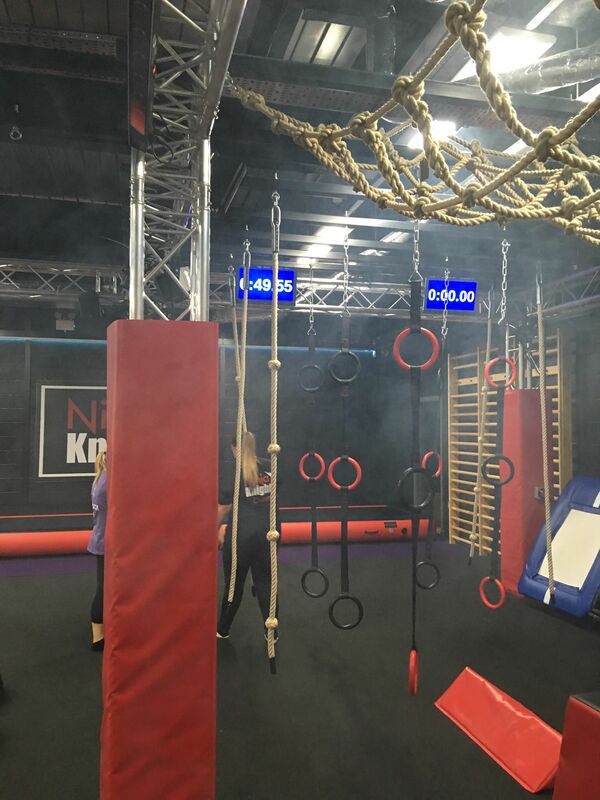 There are several types of gymnastic classes ranging from beginners, intermediate to advanced and team gymnastics. Ninja Zone was: ” designed to help children channel their boundless energy into something productive. There are lots more details about each of the classes at the following link: https://www.gymfinitykids.com/locations/farnborough/activities/#gymnastics. They have branches in Farnborough, Colchester, Reading and Leeds. 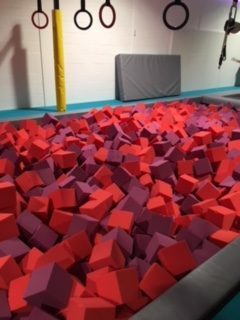 I visited the Farnborough branch with my 8 year old son. Every child has a free trial prior to signing up; this means that the child and parent gets to see if the facilities work for them, and it also gives the coaches a chance to assess the child’s ability and place them in the correct group for their ability. Every coach is trained by a regional trainer regularly which means that they are all trained to the same standard. They also train coaches on the floor during classes so they receive on-the-job training. 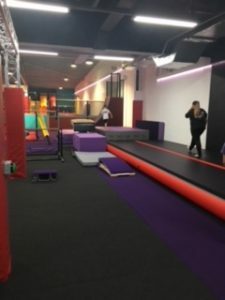 Gymfinity is based on the upper floor of the Meads Shopping centre (above Sainsbury’s). I would advise you get to your session in plenty of time to get a parking space and pay for your ticket. There is a vending machine and a hot drinks machine in the gym. These are usual vending prices. There is plenty of seating so you can watch your child during the class. There are a couple of tables. There are male and female toilets and disabled toilet with nappy changing facilities. They are very clean and well maintained. There are two party rooms, both with disco lights which are very cool. I was told their unicorn themed party is very popular. 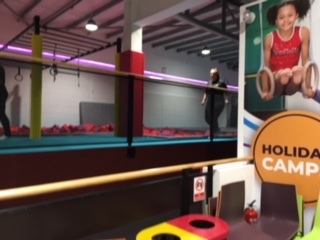 The gym itself has loads of equipment including balance beams, trampolines, assault course (with timer), vaulting horse, climbing wall as well as two slides which end in a massive foam pit. There is a car park which costs £2 for two hours. This can be refunded if you spend £5 in Sainsbury’s. 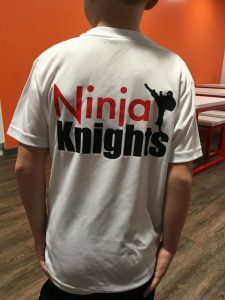 Classes run daily and at weekends. At the end of each class children receive any awards and certificates they have earned. 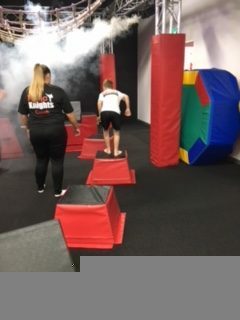 The coaches are fantastic, really encouraging to the children and willing to throw themselves into the activity (my son certainly put his instructor through her paces). 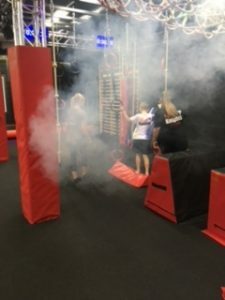 There are plenty of coaches on the floor who can help those children who need it and there is a maximum of 10 children per class. Disclaimer: This post is a review of Gymfinity Farnborough. Our session was supplied free of charge for the purposes of the review. 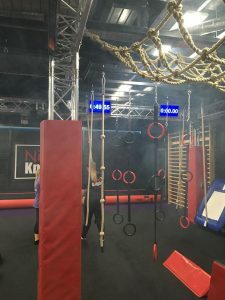 We were not expected to write a positive review and any opinions expressed are our own.